When caring for a hospital inpatient taking a medicine that is in short supply or unavailable, you should obviously start by identifying the indication and the exact regimen (dose, frequency, dosage form). 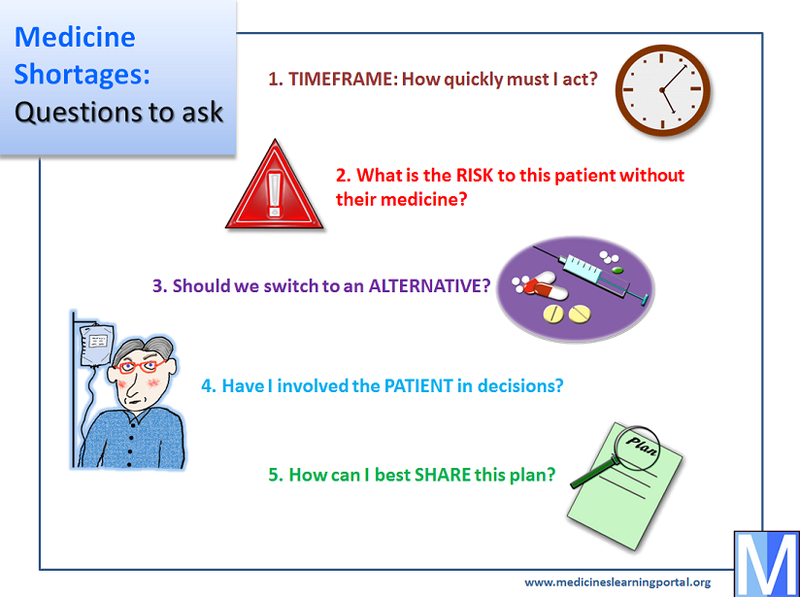 You then need to develop a plan to share with your patient and the team caring for them. As mentioned on the previous page, your Trust may already have a memo or policy describing what to do if it's a long term shortage, or there may be national guidance via the SPS website. We've provided some more detail about these questions and why you should ask them on the next page.